Within this past year, I upgraded my makeup brushes, but before purchasing them, I made myself a promise to take good care of them. 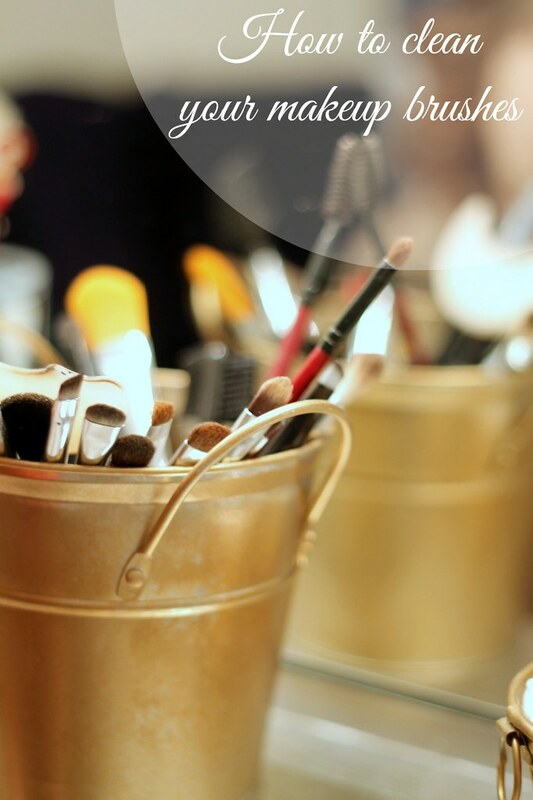 For me, that means using a quick-dry spray shampoo to clean my eyeshadow brushes every day and giving all of my brushes a thorough deep-cleaning every week or other week using a different shampoo (more about that below). 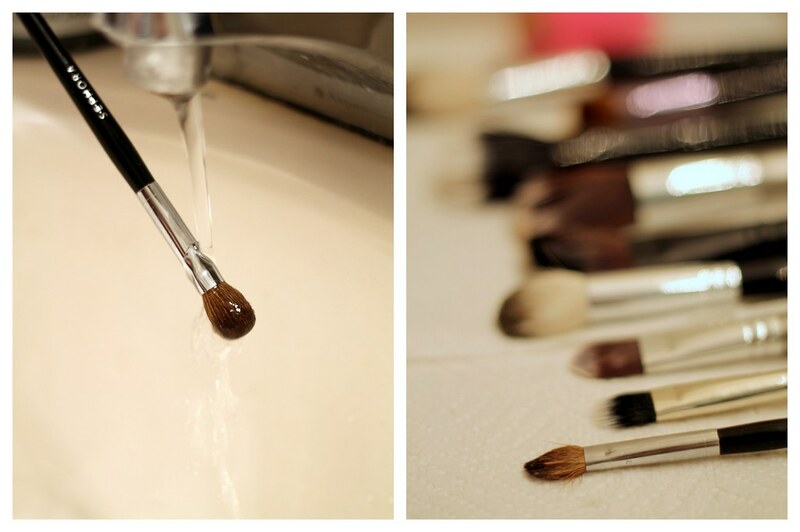 It’s not exactly fun, but it’s a necessary evil to keep your makeup brushes in tip-top shape and keep your face free from oils and bacteria that build up throughout the week. 1) Select a brush shampoo. This shampoo by Sephora works perfectly well, but the one I’m using above by BeautyBlender is the best I’ve found. 2) Get your brush wet, making sure to keep the bristles angled down throughout the entire process. You don’t want water getting where the bristles meet the glue. 3) Apply shampoo to the brush. 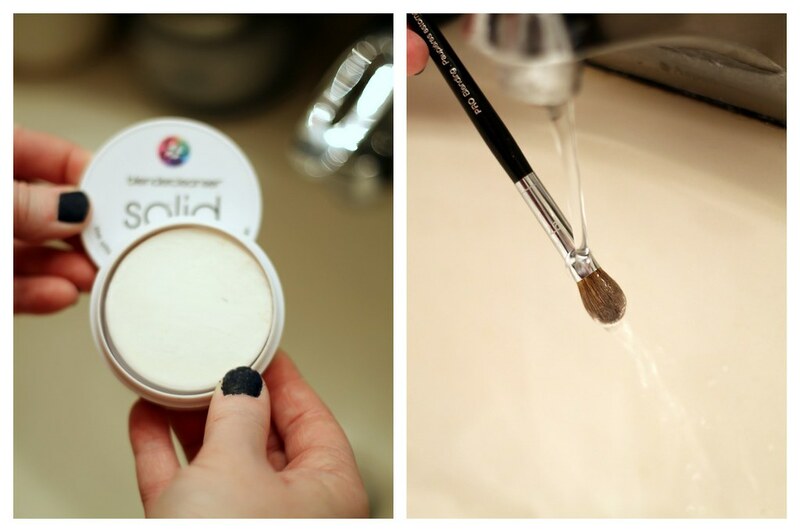 The solid BeautyBlender cleanser allows you to “dip” the brush into the product. If you’re using a liquid shampoo like the cleanser from Sephora, just put some of the product in your hand. 4) Use your hand as a scrubbing board and gently move the brush in the natural direction of the bristles. 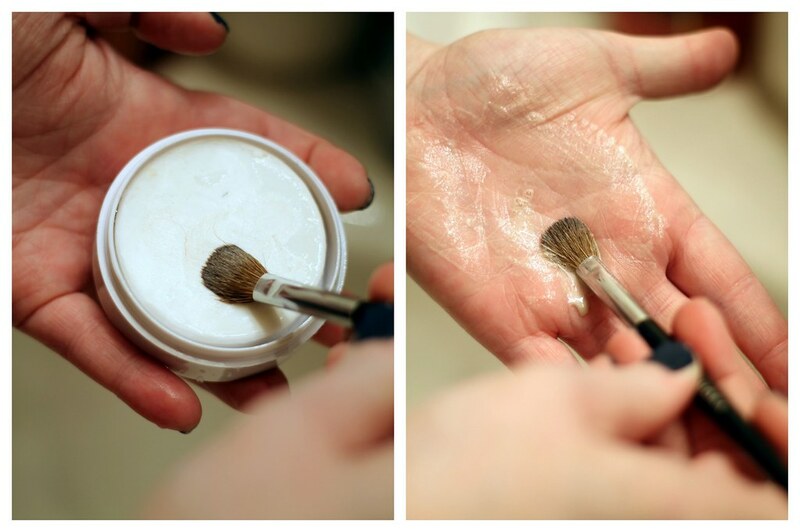 Depending on how much product was on the brush, you might need to do this step twice to remove the makeup entirely. 5) Rinse off the shampoo and gently squeeze the fibers dry. 6) Lay your brushes down at an angle on a paper towel. I use pens to prop up the ends so the water doesn’t move into the glue of the bristles.